In the wake of the Arena bomb, the city drew the creatives to itself, as though, in some act of self-healing catharsis, beauty was brought to counter the ghastly. Along the city’s highways, and especially in St Anne’s Square which was fast becoming the focus for the people’s outpouring of grief and defiance, artists could be seen hunched over easels and pavement flagstones, etching hearts, bees and other symbols of resilience onto the bones of her wounded body. Even now, on the eve of the anniversary, we turn to art to express our deepest responses. In the wake of the Arena bomb, musicians could be found playing the music of their fellow Mancunians; recognisable core DNA transmuted through classical, reggae and ballads of bleeding. Mourners broke vigils with spontaneous outpourings of adopted anthems. Even now, on the eve of the anniversary, we quote the words of some of her favourite sons. Tomorrow is twelve months. The healing goes on. and 2. the namedrop of Vincent Van Gogh. What followed were some incredible attempts by my children to fit their ears into their mouths, a feat surely impossible unless they were elephants. Later that evening I finished a biography I was reading of The Mamas and the Papas. If ever there was a group that was destined not to stay together it was these guys. 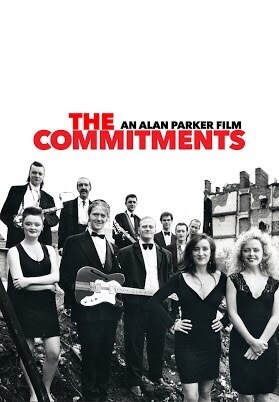 Remember that great 90’s film The Commitments, about an Irish group that imploded just as they were about to hit the big time? It was like that. You had Michelle who was married to John; John who was friends with Denny; Denny who was friends with Cass; Cass who was both in love with Denny and friends with Michelle. Then, just as they were about to sign a recording contract with a record company, Michelle and Denny had an affair. John was angry with Denny. Denny felt guilty about cheating on his friend and upsetting Cass. Cass was angry with Denny and Michelle. Michelle was angry because John blamed her and not Denny. And on and on ad nauseum. Now it was time to make music. Somehow they managed to last two years. John wrote I Saw Her Again about this betrayal and the group took their medicine and recorded it. Probably with many sideways glances. From this I began to think of the recently deceased Dolores O’Riordan. Although the cause of death in that London hotel has yet to be disclosed, and it would be wrong to speculate, there are tales of depression and breakdowns, bipolar and a suicide attempt, all in the wake of her terrible experience as a young girl when she was sexually abused between the age of eight and twelve by a man known to her family. A man who, though she never publically named, approached her at her father’s funeral, as she had long dreaded, tearfully apologising for what he had done. I thought once again about how artists turn pain into art; about creative tension, struggle and catharsis. How some need to somehow get it out in their work. And, with Dolores’ personal disclosures, witnessed the heartbreak of this Cranberries song, Fee Fi Fo, shared below complete with lyrics. Russ Meehan, aka Qubek, is an artist whose work can be encountered during any walk around the Manchester area. His murals feature throughout the region, including a huge image of 22 bees in the Northern Quarter, which represents the 22 killed in the Manchester Arena attack. Meehan was asked to do the mural by Marc Gallanders, a graphic designer who set up the Bee Strong MCR in a bid to spread positivity in the wake of the Manchester bomb, and help children and adults have conversations about what happened. His project supplies worker bees which will be placed across Greater Manchester in a show of condolence and solidarity. The 22 bees mural – a tribute to those killed at Manchester Arena was created in Monton. Gallanders says: “We decided on Monton as I live there and a lot of the local schools had children directly affected by the attack, and we wanted to spread the love and the message of togetherness beyond the city centre. The new painting gives the illusion that bricks have been taken out of the wall, revealing a garden with bright flowers, blue skies, and of course – bees. Meehan explains some of the symbolism in the work: “The flowers have all got meanings – I went through a library of flowers and read through what each of them meant. “Snapdragons, they symbolise grace and strength, and in the same family there are some statice – which aren’t fully in bloom in the picture, they’re just behind the daffodils – they are a symbol of remembrance and symbolise sympathy and success. “The rose at the bottom symbolises love, when you think of all the love which poured out of Manchester I thought that was a nice symbol to put in there. “Also the rose is red because of Lancashire. Daisies symbolise innocence and purity. “On the left hand side there’s a flower called the king protea, that stands for change and transformation and it signifies daring and resourcefulness. “The daffodil, it’s indicative of rebirth, new beginnings, and eternal life. Now I’m not really very religious, but I think that’s a nice meaning, it’s like the flowers and the piece is in remembrance to those who have passed away. It’s almost like they’re living on through the art work. “The bees represent the people of Manchester: hardworking individuals around the city. I didn’t want to drag it up again… I wanted to make a piece of art that celebrated not just the people who were there on the night but everyone in Manchester. And through the drizzle; the slate-grey day; this: outside Victoria Station, entrance to Manchester Arena, scene of the bombing in May. Bringing some colour to a building site.